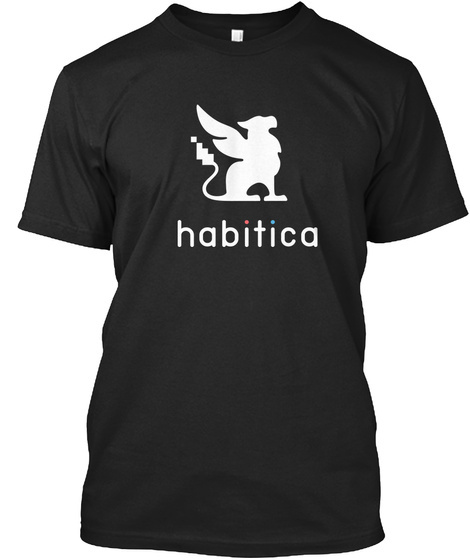 You're the pride of Habitica and you want to let the whole world know! Or you're inspired by Melior and want to keep the gryphon close to your chest. After numerous requests over the years, we are finally excited to bring you basic black and proud purple t-shirts in both broad and slim fits, for you broad and slim body types! Your purchase helps support the developers working to bring you a better Habitica every single day. Habitica is the gamified productivity and habit improvement app (web, iOS, Android) that helps almost 2 million people manage their work and personal lives. Check it out at https://habitica.com! UPDATE: Our campaigns are currently demand-driven, so more shirts will be printed for EU customers when enough have been reserved. Reserve yours today by clicking "I still want one!"